CONVENED OCTOBER 14, 1919. ADJOURNED OCTOBER 16, 1919. 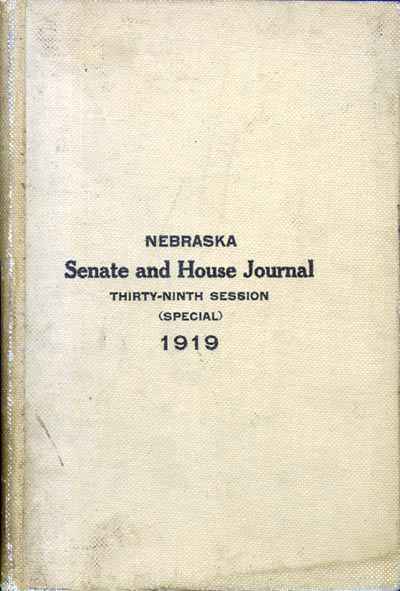 In accordance with a resolution passed by the Senate and House the Journals of both Houses are printed in one volume. Such matter of public interest as the Constitution and other extra matter usually printed in the Journals is omitted as it is in the regular session Journals. Chief Clerk of the House. © 2002 for the NEGenWeb Project by Pam Rietsch, Ted & Carole Miller.